2019 Training programs. Schedule TBA. Complete the 2019 Registration form. Read the waiver here. Choose Spring or Summer, or both Spring and Summer, and number of participants. We’ll send you a PayPal to complete your transaction. Your information and PayPal are both secure. We never see your card. Registration and payments during onsite training are discouraged. No refunds after the 2nd Saturday of the season. We can talk about your goals, ambitions, prior experience. 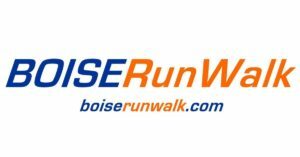 Q. I just discovered Boise Run Walk, but your season has started already. Can I still join? A. Yes! New members may join throughout the season. It’s never too late. Q. I’m out of shape and think I should become more fit prior to joining. Should I join anyway? A. Yes! People join to get in shape and have fun, and find motivation. It’s hard to do this alone. Q. I’m joining in the middle of a training season. Can you spend time with me to help get me caught-up? A. Yes! We offer a 1-hour orientation and “catch up” session with Coach Steve. Fee may apply. Q. I think I should start with a 5K rather than a 10K. Is this OK? A. Yes! You can train for a 5K. It’s all about setting realistic yet challenging goals.